Guys, headlines are so freaking important. They make ALL the difference in the world in whether or not your content actually gets clicked on to get read… and can make the difference in an entrepreneur struggling to get heard online, and an entrepreneur who’s getting so much attention and growth, they don’t know what to do with it all. In this 7-minute video, I teach you my two best tips on how to write headlines that get noticed and earn you tons of targeted traffic. Watch the video, try them for yourself, and let me know how they work for you! Welcome to this video on copywriting and how to write headlines. I’m really glad you’re here because headlines are SOOO important… they’re the things that not only determine if your article gets read or your video gets watched…. but determines if it even gets clicked on in the first place – if you’ll even have a CHANCE of getting your content seen. And that’s a pretty big deal. You spend a lot of time creating your content, so you want to make sure it gets seen. And *I* want your content to get seen too. I know you’re creating great content that deserves to be in front of peoples’ eyes, or you wouldn’t be here. So, let’s talk about writing AMAZING headlines that actually get CLICKED on. And guys… I am NOT AT ALL talking about spammy click bait here. We all hate those things, so that’s not what I’m going to teach you. In fact, the first tactic might seem a little dry, boring, and underwhelming…. but trust me, IT WORKS. So this first strategy is really good for getting ranked in search engines & getting free organic traffic… and the other strategy is great for getting more attention and traffic from other platforms… like social media, email, or newsletters. So I’m going to share my screen, and we’ll get into it! Okay, so the first strategy is to use this website called Answer The Public. It’s an amazing website for SEO research. I use it all the time myself, and include it in a lot of courses I teach because it’s just so good and is an amazing resource for writers, entrepreneurs, and solopreneurs. It takes a lot of the guesswork out in a way that other keyword research tools just don’t…. and it gives you phrases that sound like they’d actually be spoken by humans… not some jumbled up mess of words that no one would actually use in a sentence. So you go to Answer the Public, select your language, which in this case is English, and then type in a keyword you want to create content about. Let’s say you’re a web designer, so you type in web design. Once the tool runs, you get these AMAZING lists of questions, prepositions, and comparisons you can use for content inspiration and headlines. Seriously, you can take the EXACT phrase this tool gives you and use it as your headline. It might sound a little boring, but these are the EXACT phrases people are typing into search engines to get this information, so when they type one of these phrases in and SEE your HEADLINE matches what they want to know EXACTLY, they’re more likely to click on it. Honestly, I use this approach for almost all of my YouTube videos and video blog posts…. and I get great results with them on Google. I’m often on the first page and even in the #1 slot, which is a great place to be… and all with a “boring” headline. So basically, once you do the search in Answer the Public, you can read through the phrases it gives you and pick out the ones that you either already have content for or that you’d like to create content for. Then you use the phrase as the title, and because it matches a popular search term and promises to ANSWER BURNING QUESTIONS people have, it WILL get clicked on. THESE ARE ALL THINGS PEOPLE REALLY WANT TO KNOW. So can you see how using these as your headline would do really good things for you? Okay, now that you know that approach for getting free search engine traffic, here’s my second one for getting more traffic from other platforms. It actually comes from Upworthy…. do you guys remember Upworthy? They’re actually still around, but I remember these guys DOMINATING my Facebook feed in 2014. And they got my attention ALL THE TIME with their headlines. Now, you may love or hate Upworthy & their headlines, but you’ve got to admit that they were onto something. You can read this full presentation later – it’s pretty easy to find on SlideShare – but I want to fast forward to slide #23… to their editorial process. And that’s the second approach that works for getting attention in places that aren’t search engines: Write 25 headlines for each piece of content, and use the catchiest one. Yes, it will be hard at first, but like the rules say, once you get out all the generic, unoriginal headlines you’d write by default in the first place, you start coming up with pure headline gold. If you liked this video, make sure you hit the like button and subscribe to my channel for more great copywriting tips. 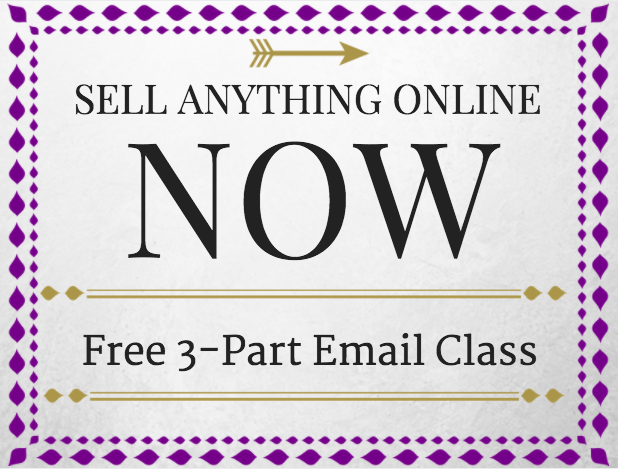 Also, in the link below the video, you can sign up for my free 3-part copywriting course. It takes you through fun exercises to write the three most important parts of your website: the emotional hooks, the details of what you sell, and the calls to action that get people to buy your products or hire your services. People LOVE this course, and it works wonders even for non-writers. So make sure you follow the link below to get in on it, and I’ll see you in your inbox. Bye! In short, knowing how to write headlines that actually get clicked on and that SERVE your audience is one of the most important parts to getting your content seen and becoming known as an influencer online.